A conference on research and innovation in your daily life will be held in the European Parliament, in Brussels, Tuesday 27 November. The event is organised with the Commission. 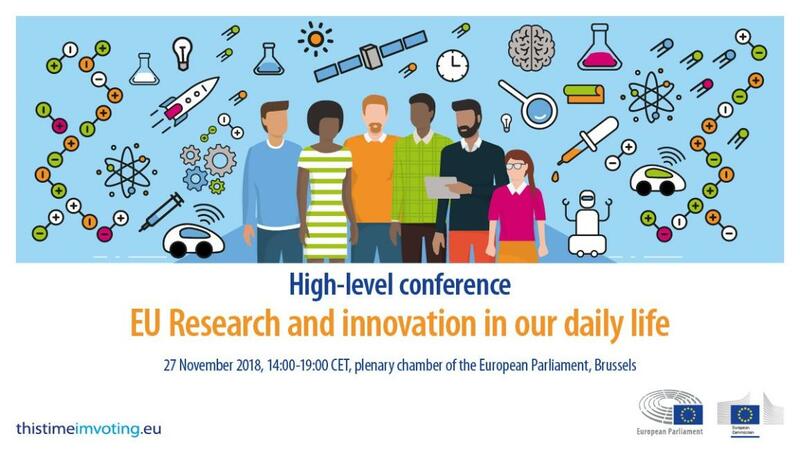 The President of the European Parliament, Antonio Tajani, and the Commissioner for Research, Science and Innovation, Carlos Moedas, will open the High-Level Conference on “EU research and innovation in your daily life” on Tuesday 27 November at 14.00. Research and innovation are not only important drivers of economic development and job creation, they are also indispensable elements of our daily lives. Over the last 30 years, the EU has invested €200 billion in research and innovation projects aimed at improving life for everyone. The conference will showcase some of the benefits of research from Galileo - the European GPS - to Casper, a robot that helps children who have cancer. President Tajani said: “All sectors have benefitted from European research: medicine, pharmaceuticals, environmental sustainability, energy, combatting ageing, nanotechnology, artificial intelligence, food safety, transport, space, defence, security and cyber security, to name a few. This conference will present some of the many success stories of European research. Results achieved thanks to your contributions - it is essential that you know about them." WHERE: Hemicycle, European Parliament, PHS Building (Rue Wiertz 60 - Bruxelles). WHEN: Tuesday 27 November (14.00-18.45). President Tajani and Commissioner Moedas will hold a joint press conference at 15.30 at the 'Anna Politkovskaya' Press Room in the European Parliament. The programme of the event is available here. You can follow all events live here. Journalists that already hold permanent media accreditation with the European Parliament will be able to access the event. For those not holding permanent media accreditation, requests to attend the conference can be sent to media.accreditation@ep.europa.eu. Video and photo journalists should get special accreditation (“T-badge”) to be allowed to use their cameras during the conference.